Wildflowers are beloved little treasures that have inspired poets, artists and storytellers from around the world and learning to recognize them and preserve their declining habitat is something all gardeners should aspire to. Most books and descriptions of Phlox divaricata indicate that it is a slightly fragrant wildflower, but my nose knows before I actually see the blooms of this woodland treasure every time. In late spring or early summer, the scent wafts up from the creek banks and forest edges here in west Kentucky and in some areas, it is even strong enough to smell when driving down the road. The banner image was taken just a couple of miles from my house and I smelled the flowers long before I spotted them along the creek bank. Native to eastern North America from Canada to Florida, (USDA Zones 3 to 8) it is a delicate but hardy plant. When undisturbed in its native habitat, Woodland phlox can form large colonies of plants that thrive in semi-shady conditions. In my neighborhood, old growth, open woods with dappled sun is the most likely place to find this plant. If a stream or creek runs nearby, chances are pretty good that there will be a few in the area. The lavender to pinkish colored blooms are held in loose clusters on stems that grow between a foot and eighteen inches tall. They spread by underground runners or stolons, but seed is also produced when the flowers fade. If you use this plant in the garden, take note of its natural habitat. 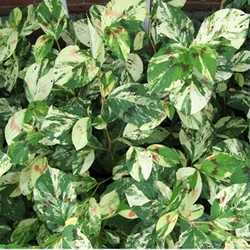 It likes filtered shade, moist, but not boggy conditions and humus-rich soil. Give it some mulch in the garden to mimic leaf litter from the forest floor. There are many commercial hybrids of this tough little wildflower and most nurseries that sell perennials will offer at least one. I've even seen containers of the 'Blue Moon' cultivar offered at my local big box store. Other well-known names are 'Chattahoochee', 'Louisiana Purple', 'London Grove Blue' and 'May Breeze'. The hybrids offer larger and more numerous blooms and are quite popular. We have a large number of our participating PlantScout vendors listing both the species and hybrid cultivars as well, so it is very easy for most gardeners to obtain. Its wide range of climate adaptability makes it popular for vendors because it can be shipped virtually everywhere. Phlox divaricata makes a dainty splash of color in a normally all-green woodland palate, so is a good choice for gardeners who like a little diversity to tuck among their ferns and hostas. They make an excellent addition to a pollinator or cottage garden as well. 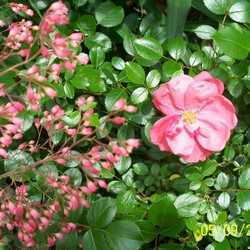 The blooms last for about a month, and then the plant becomes inconspicuous until the next spring when it sends up its blooming stalks. Few pests bother this plant, but sometimes powdery mildew does. Most people cut the stems to the ground after flowering to combat this fungal problem. However, rabbits and deer tend to find woodland phlox tasty treats and if your garden sees them as frequent visitors, it might be wise to make other plant choices. This plant wasn't often used medicinally by Native Americans either. If added to their herbal pharmacy, most often is was in the form of a tea used to treat stomach ailments, however, there isn't much scientific evidence that its use helped. It isn't harmful or toxic either, so no harm was done. 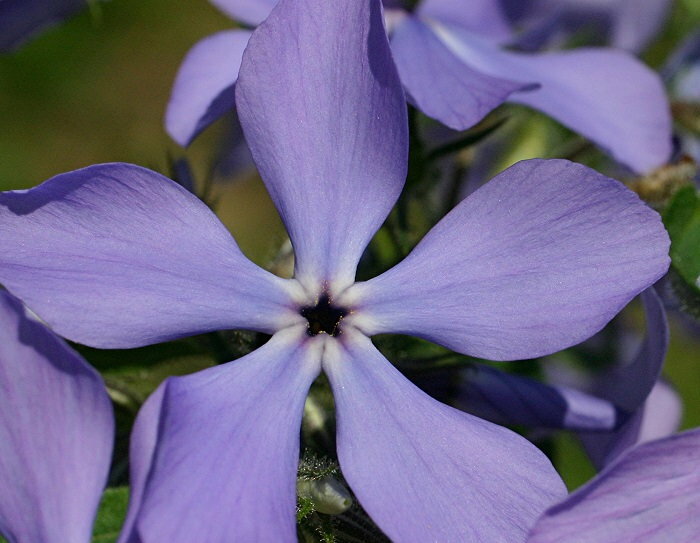 In the Victorian 'language of flowers', phlox was included in nosegays to represent united souls or unity. That is probably why many wedding bouquets of the time included phlox. It was also used in witchcraft as an ingredient to make people work together, or as a love potion. While it may be tempting to dig some ‘free plants' in the woods, please think before you do. Over harvesting has decimated much of the world's wildflower treasures and it is better to purchase your plants from a nursery that responsibly propagates their own. Woodland phlox is considered endangered and threatened in several states, so leave them be unless construction is started where they grow. Our declining wildflowers take a toll not only on rare and endangered species, but many animals and insects depend on them too. Phlox divaricata is a host to a number of butterfly species such as swallowtails and hairstreaks and its early blooms provide pollen and nectar for those that lay their eggs elsewhere. Often the plants do not survive the move and then they're lost forever. The only time you should consider taking a plant from the wild is if the habitat is in danger of being destroyed due to construction, and then check with the property owners before digging. 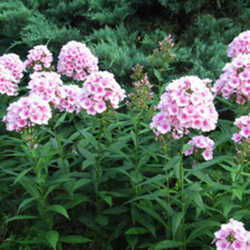 I enjoy my wild colony of woodland phlox every spring and wouldn't think of trying to uproot any of them to my garden. The conditions aren't the same and all I'd do is ruin the beautiful display in the woods I enjoy as I drive by.